The Village Hall is now open! 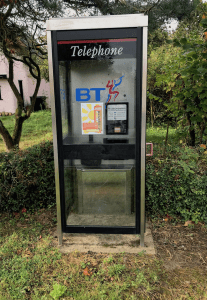 The Phone Box has now been refurbished and tidied. It was acquired by the Community Council, and will have a defibrillator installed. We are in touch with The Community Heartbeat Trust. If you’d like to run this project (apply for grants etc.) then please contact us.